Whole Roasted Brussels Sprouts with Garlic is a super easy to make and delicious side dish recipe. 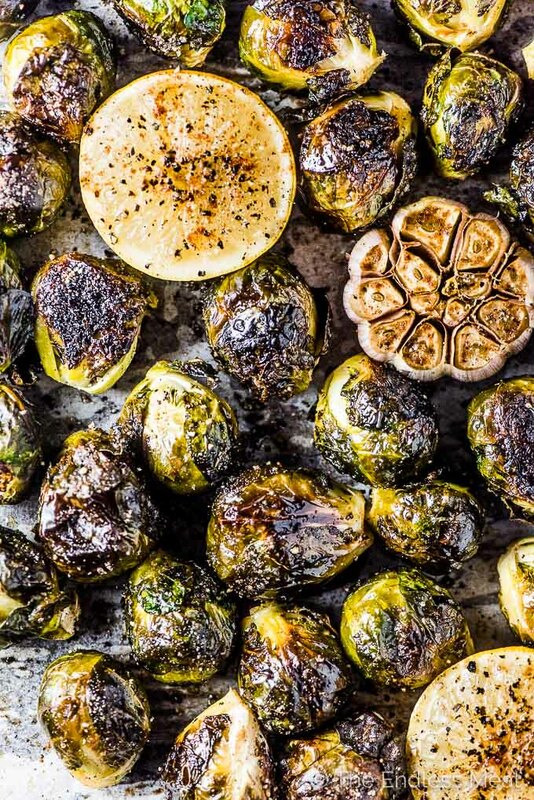 The brussels turn dark and crispy on the outside and creamy inside. 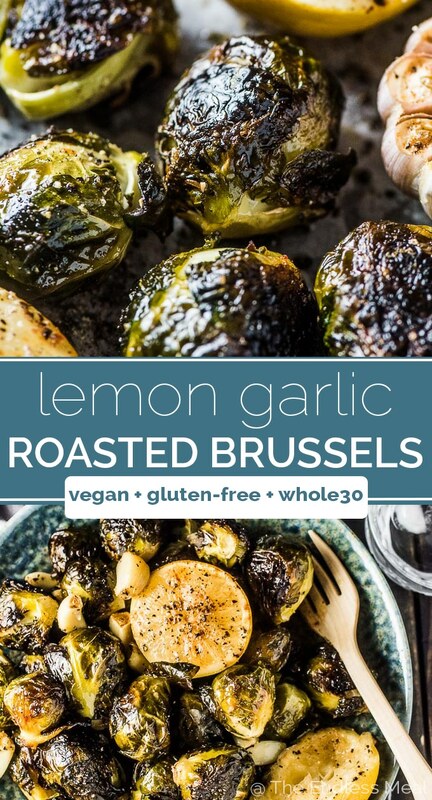 With some roasted garlic and a squeeze of lemon they are totally addictive! Do you see those little nuggets up there? They are brussels sprouts heaven. The outer leaves are dark and crispy while the insides are soft and creamy. 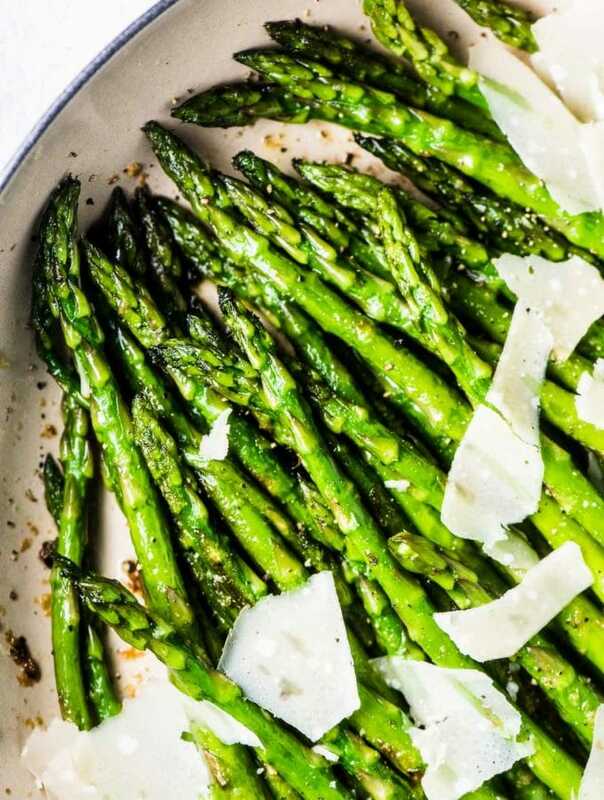 They are also THE EASIEST side dish ever. ← no exaggeration! 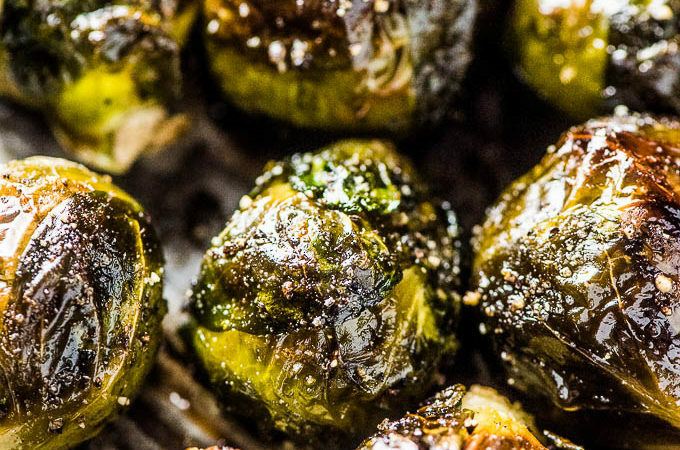 Roasting brussels whole turns them into little balls of magic. Crispy on the outside and soft inside. Pure deliciousness. They require almost zero prep and no hands-on cooking. Read: they cook themselves. If you can open a bag of Mann's Brussels Sprouts then you can make these. 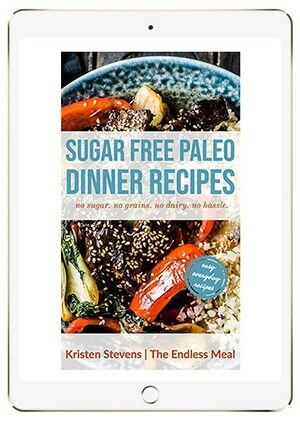 They are a no-brainer, healthy recipe that you can serve to literally anyone. 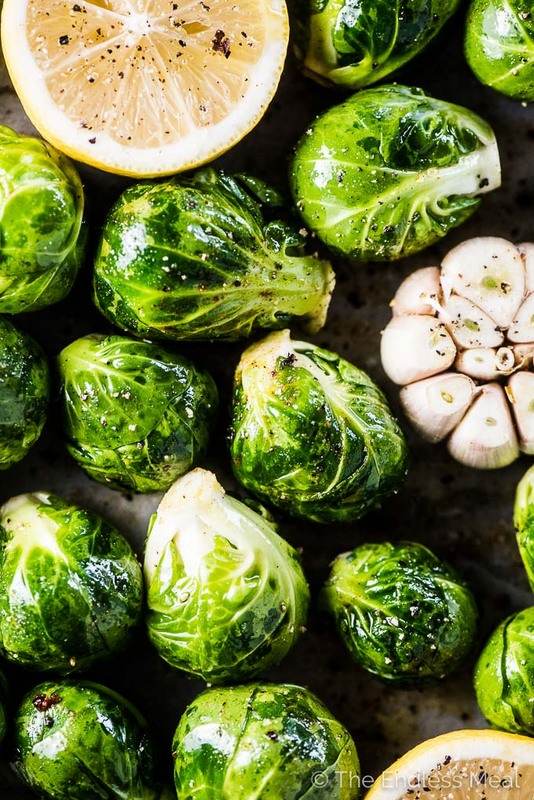 These brussels are vegan, whole30, gluten-free, low-carb and all those other ways that someone we know (raise your hand!) eats these days. Whole roasted brussels sprouts with garlic is a recipe we'll all love. See that bag up there? That is a bag of Mann's Family Favorites Brussels Sprouts, and it makes my kitchen life SO EASY! So easy that it's totally worth the all caps yelling. Brussels can be a little bit of a pain to prepare as you need to go through them one by one, cut off their tough ends, and trim off their outer leaves. EXCEPT if you're using Mann's Family Favorites Brussels Sprouts. Then all you have to do is open the bag and pour out your brussels. So easy! This time of year always feels hectic. Is it the same for you? It's the time of year when every little convenience becomes more important than ever. If I can save 15 minutes of washing and cutting veggies, I'm in. But either way, picking up a bag of prewashed and cut Mann's veggies means that I get more time to do the things I need or want to do. It's like winning the lottery. I've used Mann's pre-cut veggies many times, both in recipes here on the blog and when I'm strapped for time at home. I buy them at my local grocery store. You can find out where to buy them here. They're widely available so chances are, your life will get a whole lot easier very soon! When you're at the store, eye out which other Mann's vegetables are available. I have several recipes using Mann's Fresh Vegetables and more on the way. Stay tuned for more coming your way soon! 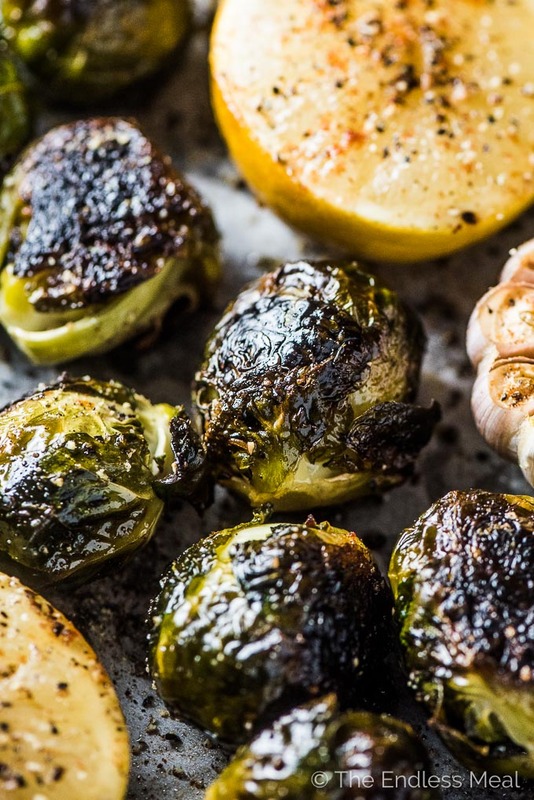 These garlic brussels sprouts are made with roasted garlic. Cause roasted garlic is EVERYTHING! 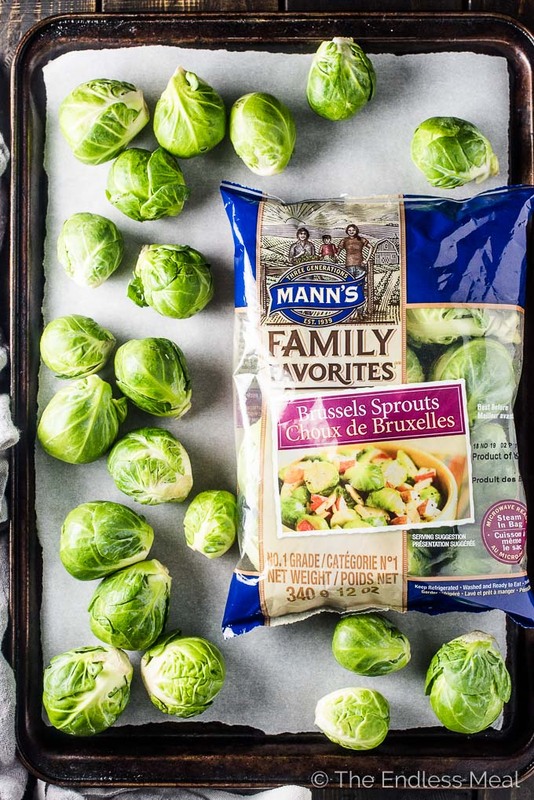 Open your bag of Mann's Brussels Sprouts and pour the brussels onto a baking sheet. Toss with some oil, salt, and pepper. Cut the top off a head of garlic and pop it on the baking tray. Cut a lemon in half and nestle the halves between the brussels. Sprinkle a little extra oil, salt, and pepper over the lemon and garlic. See how amazingly easy that was? 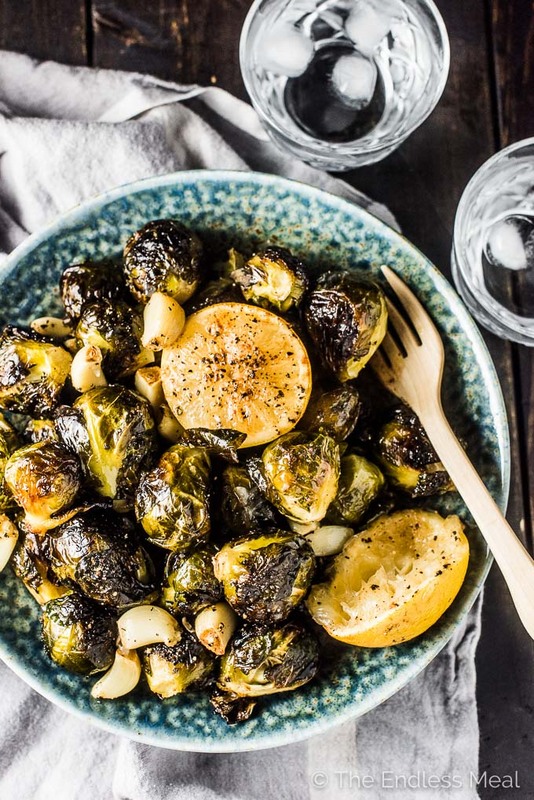 Whole roasted brussels sprouts with garlic are the PERFECT side dish for your holiday table. Bonus: they can be made ahead of time. If you're making them for Thanksgiving or Christmas, cook them ahead of time for 30 minutes then take them out of the oven. Let them cool, cover the pan with plastic wrap, then put them in your fridge. When the turkey comes out of the oven, remove the plastic wrap and put them back into the oven to warm and finish cooking. By the time the turkey rests for 15 minutes, your brussels will be ready to go! My favorite way to serve these brussels is with chicken and a big salad. It ticks all the boxes for me: easy to make, healthy, and delicious. You could easily sub a piece of salmon or even some tofu. I simply season some chicken breasts with salt, pepper, and whatever spice blend I find in my spice rack then put them on the tray with the brussels after 15 minutes. 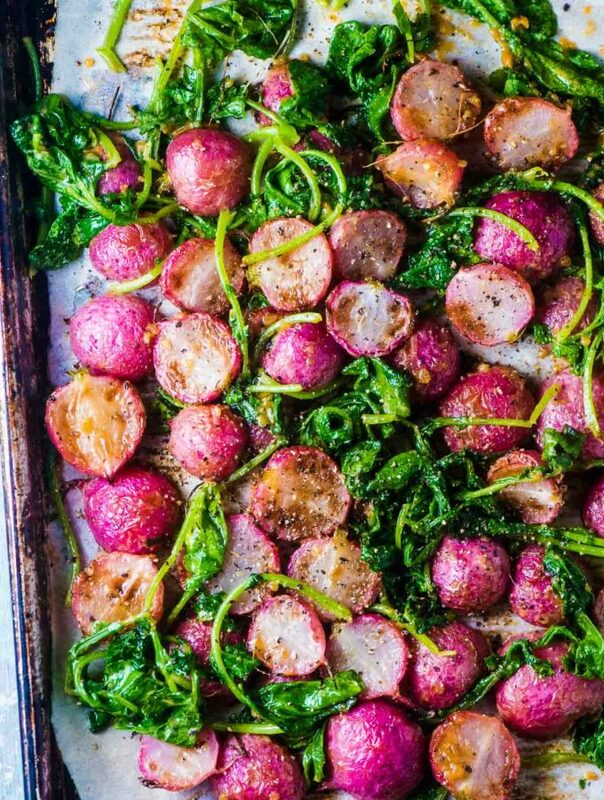 If I'm extra hungry, I'll throw some mini potatoes (cut in half) on the tray with the brussels when they go into the oven. They'll cook in the same amount of time. Easy! Make a super simple salad (or pick one of Mann's Nourish Bowls or a Veggie Slaw) and you've just made yourself a crazy easy and crazy delicious dinner. Win!! Coconut Oil Fried Brussels Sprouts with Garlic, Chili, and Lime ← a personal favorite! Preheat your oven to 400 degrees. Line a baking sheet with parchment paper. 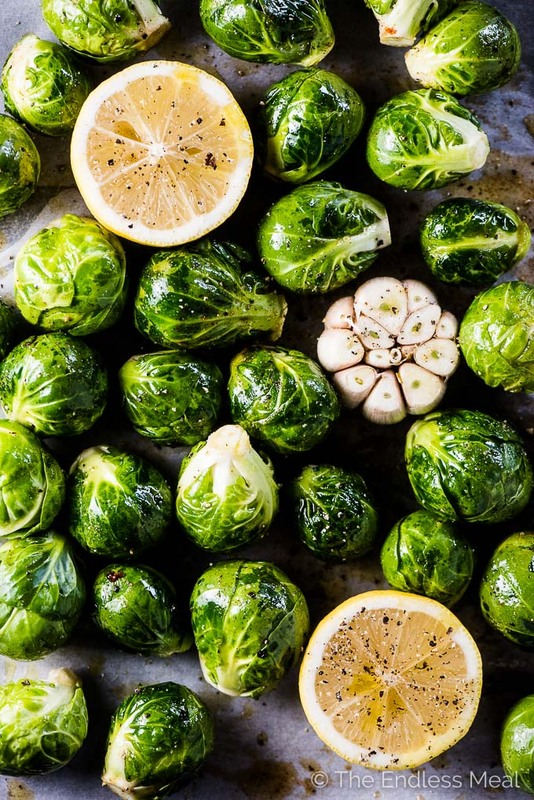 Place the whole brussels sprouts on the baking sheet and toss with the oil, salt, pepper, and cayenne. Add the lemon halves (cut side up) and the garlic to the baking sheet and drizzle with a little oil. Roast in the oven for 40 minutes, tossing the brussels halfway through. Let the garlic cool for a couple minutes then squeeze the cloves from the skin. Transfer the brussels to a serving dish, sprinkle with the roasted garlic, and squeeze the lemon over the top. I made these for Christmas dinner and everyone raved about them. I cooked them half way then finished them after the turkey. Will make them again! I made these today, trying out the recipe before Christmas since everyone is expecting me to bring the Brussels sprouts. This recipe looked easy and good. The good thing about this recipe is that these are certainly the easiest Brussels sprouts i’ve made. They were tender all the way through at 40 minutes and were appropriately charred, not too black. I would also say, if you do not have a winner recipe for Brussels sprouts, this one would surely work, with one exception. I found that after squeezing on the roasted lemon, that made the sprouts taste like fish! So I would likely not add that next time. And they needed more salt, quite a bit more salt. There is a Brussels sprouts recipe from America’s test kitchen that I use. It does take more time but it is the best. A lot can be done ahead of time but if you want the best Brussels sprouts, that would be my recommendation. Even the little kids happily gobble them up and ask for more. Hi Kristen! I love your blog! Awww thanks Mel! I wish I could tell you but I’ve never cooked with frozen brussels before so I don’t know how they cook. I’m sorry! I love brussel sprouts! These look absolutely amazing! love your blog and thank you for sharing this recipe! Thank you so much! I hope you love them as much as I do!